Sign up for our mailing list to stay in the loop on our next album and special bonus offers available exclusively to subscribers! Charleston, SC – October 24, 2011 (10T Records) - 10T Records is thrilled to announce the pending release of the full length debut concept CD by The ANABASIS, entitled Back From Being Gone, on November 22, 2011, with an official street date of January 17, 2012. 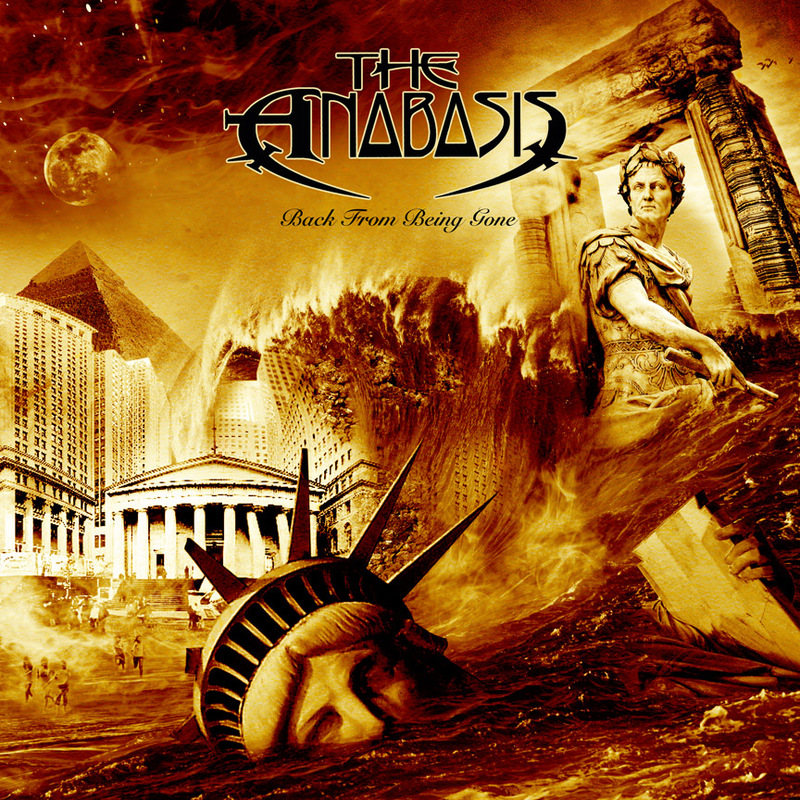 The ANABASIS is a progressive rock collaboration project, conceived by USA multi-instrumentalist and composer, Barry Thompson, with lyrics by noted professional author, George Andrade, who is also Executive Producer. A group of extraordinarily talented musicians were recruited from all over the world to take part in the project. The premise was to provide a basic framework for the songs and then to allow the musicians to play their parts with their own style and sound. This amazing lineup of musicians and vocalists on Back From Being Gone make up a “who’s who” of some of the world’s top tier players in the progressive rock and progressive metal universe. In addition to Barry on guitar, bass and keyboards, The ANABASIS features internationally renowned virtuoso musician Ryo Okumoto (Spock’s Beard) as primary keyboardist and arranger. The band is further rounded out by Per Fredrik "PelleK" Åsly (Damnation Angels) on lead vocals, Gerald “Mully” Mulligan (The Lee Abraham Band) on drums, Gordon Tittsworth (Images of Eden, All Too Human) on lead and backing vocals, Lee Abraham (Lee Abraham Band) on bass, Stefan Artwin (Relocator) on lead guitar, plus a host of other special guests, too numerous to list. Lee Abraham also serves as producer/mixer for the release. Back From Being Gone is a stunner that melds classic progressive rock and metal into a tasty whole, with 3 epic tracks including the massive closing track, which clocks in at 24 minutes. The concept behind the CD is from the mind of George Andrade, who uses this musical tapestry to weave a sweeping sociopolitical narrative based on 3 ancient civilizations – the Roman, the Norse, and the Egyptian. Back From Being Gone by The ANABASIS is available for immediate pre-order through the 10T Records website. All orders received between now and the direct release sale date of November 22nd will ship by the end of the week prior to the release. Stream "Back From Being Gone"
After January 17th, Back From Being Gone will be available at your favorite online, digital download, or retail outlet.